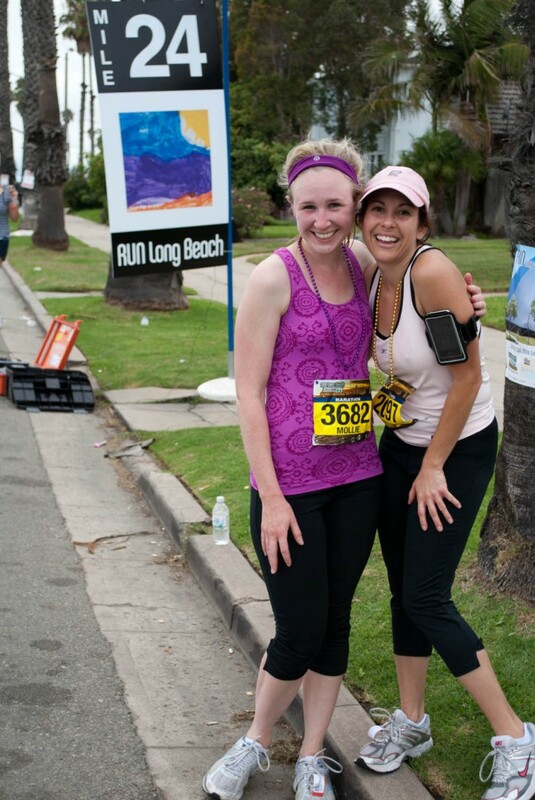 Last weekend my dear friend Edith and I ran the Long Beach Marathon! 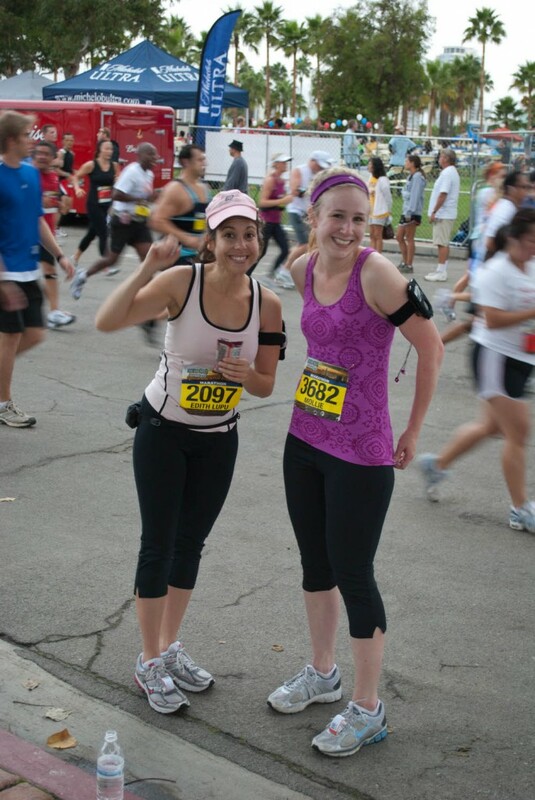 When we became early morning running buddies last December, and trained for a half-marathon in March, she told me she didn’t think she’d ever run a full marathon. Then we got lost in the trails of Chesebro Canyon and turned a 2 hour run into 4.5 hours of running and hiking the steep hills… making it through that experience helped convince her to train for a marathon with me! Look at those beautiful gray skies… 60 degrees and overcast is PERFECT running weather! Do you see us in our pink jackets? In the picture on the left, we are at mile 6, feeling great and very excited. At mile 24, the smiles are mostly fake… we’re nauseous and just wanted to be done! 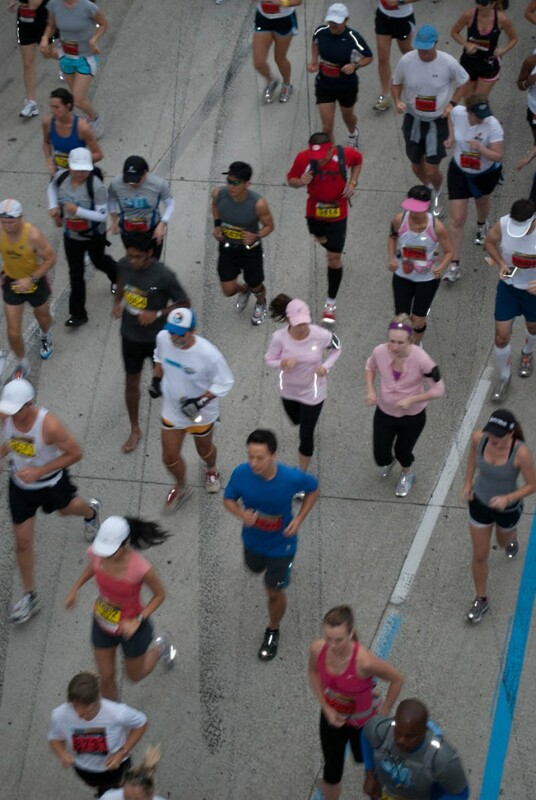 The race was quite enjoyable… is that weird to say? The course’s constantly changing scenery kept things interesting. I got a cramp in my side at mile 11 after I scarfed down a banana and a donut hole (someone was handing them out!) but it was gone within a mile. Running didn’t even start to feel difficult until mile 17 so that’s when we turned on our iPods. Sure we were feeling a little sick at the end, but it was worth it! We came in at a great time: 4:42! We were thrilled with the time, as well as the the fact that we got to stay together the whole time, and never stopped to walk. Our husbands, kids and my mom met us at the finish line for some snacks and the trek back to the cars. That walk always seems to take forever! I just wanted to go to bed. 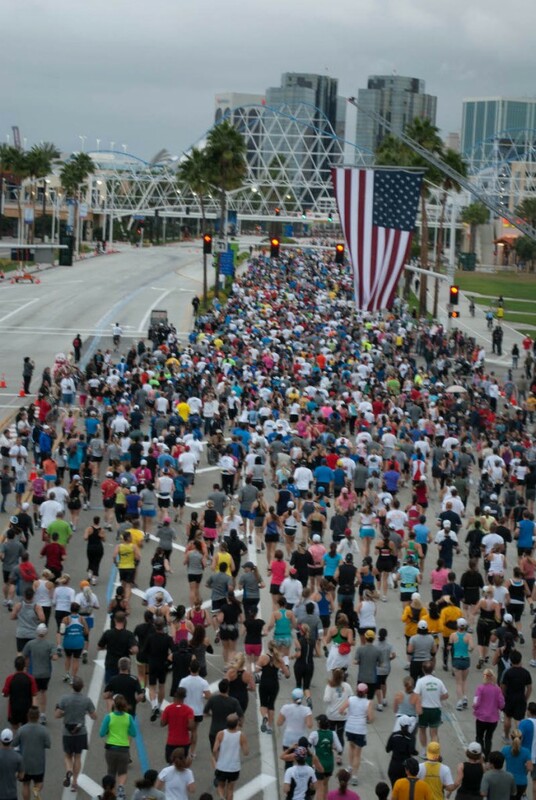 We’re already planning our next run… a half marathon in December! 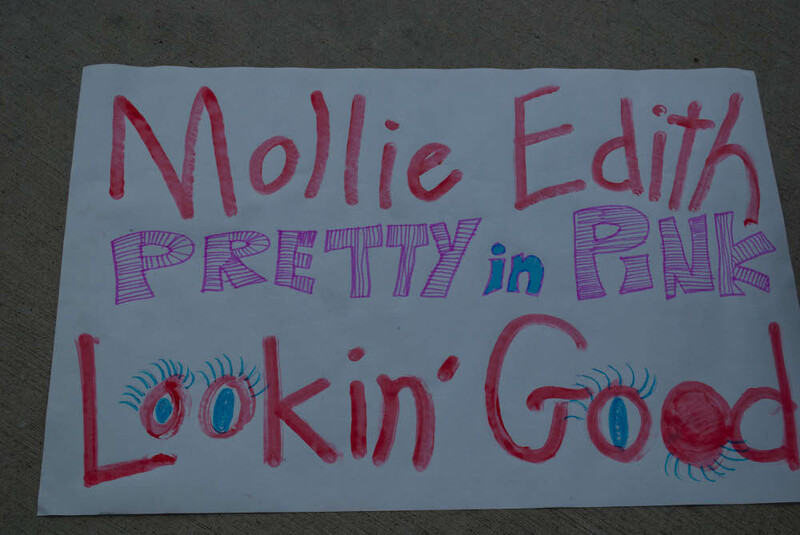 This entry was posted by Mollie on Sunday, October 24th, 2010 at 8:34 pm	and is filed under Life & Times, Running. You can follow any responses to this entry through the RSS 2.0 feed. You can leave a response, or trackback from your own site. I vote for an East Coast run next! I would totally join you! Alright, where are we going next? You two are super fun! you gals always look cute! 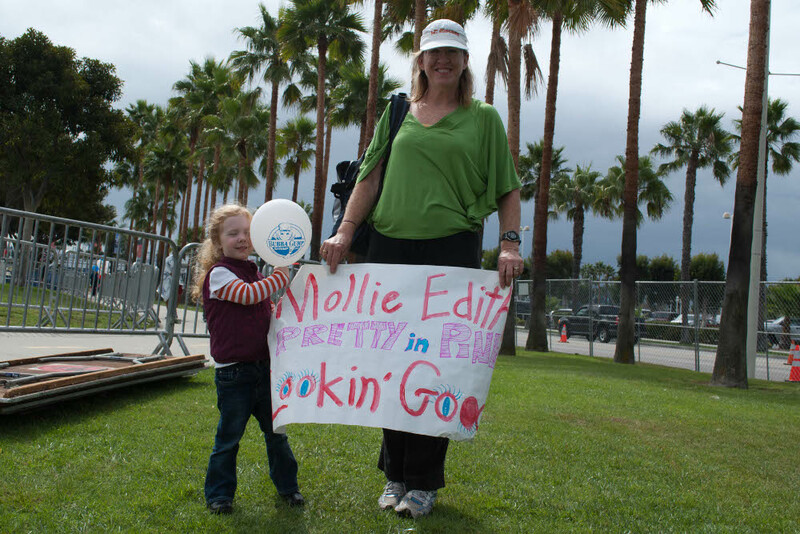 It’s true, your mom does make the best signs!